Get bookings and payments on your website at 2x the industry average conversion rate. Automate management and admin tasks so you can spend more time generating bookings. 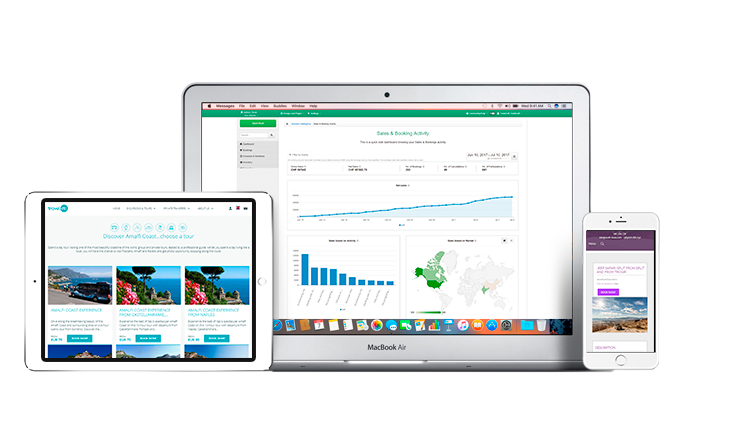 Sell via the world's top online travel agents, including Viator and Expedia, and sync your availability on all channels with just one update. Get the support you need to thrive from our experienced team. TrekkSoft is Swiss-made, trusted worldwide. "We are seeing an increase in tours by around 50% each year, and TrekkSoft is definitely part of that increase." "Using TrekkSoft as a booking system gives me a head start over other competitors here." Ask for a demo call now! We'll show you how to manage, market and sell your tours and activities with our software. All in a quick 20-minute call.